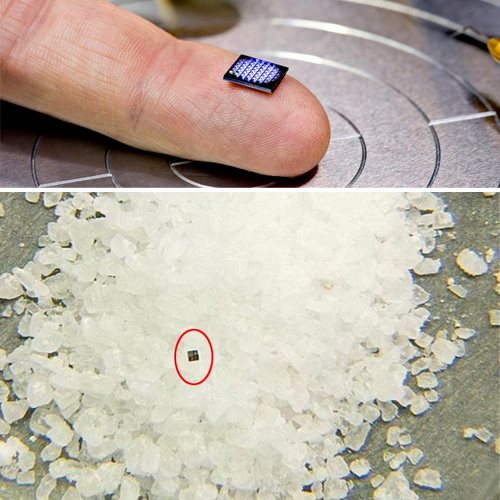 IBM has unveiled the world's smallest computer which is "smaller than a grain of salt", measuring 1 x 1 mm. This tiny speck of technology is also very cheap to manufacture, costing less than ten cents. This device was unveiled at IBM Think 2018 Conference which started on March 19. The world's smallest computer comes with an x86 chip, Mashable reports. IBM says that this computer has around 1 million transistors which would require microscopic vision to take a look at it. This tiny computer is capable of monitoring, analysing, communicating and even acting on data. In addition to this, the computer is equipped with SRAM for memory, and a photo-voltaic cell for power. It is also capable of uplink and downlink communication using an LED and a photo detector.